The ELUNA Steering Commitee welcomes you to all that is available to see and do in this Chicago suburb! The Village of Schaumburg is located 30 miles outside of Chicago. It features a large business district and has biking trails, galleries, shopping, and theaters on offer. More information about what the area has to offer can be found on the “visitors” page. ELUNA 2017 was held at the Schaumburg Convention Center. 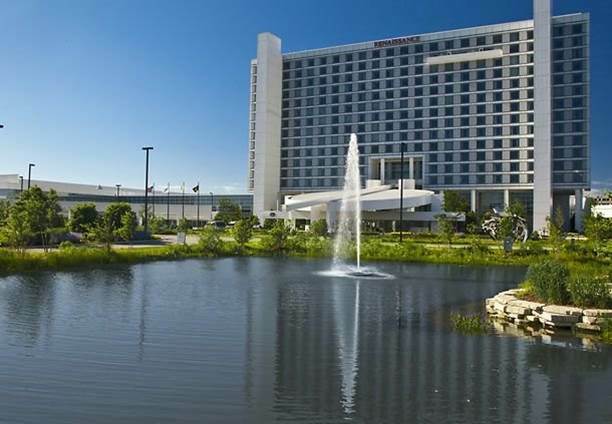 This modern convention center is located close to many hotels, restaurants, and attractions. The Renaissance is connected to the Schaumburg convention center. The hotel offers a contemporary design, ample lobby meeting spaces, fine dining, pool, and fitness center. ELUNA guests will also receive complimentary wifi. On-site parking is complimentary. ELUNA has secured an amazing room rate of $169.00 per night. Use this link to check room availabilty now. Note that the rate expires on Friday, April 15, unless the block fills earlier. 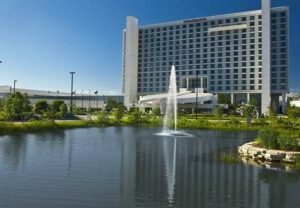 Located 0.7 miles from the the Schaumburg Convention Center, the beautifully remodeled Residence Inn and Springhill Suites properties offer larger rooms with kitchenettes, perfect for guests who are sharing a room or who are staying for the full week. Amenities include pool and fitness center. On-site parking is complimentary; a morning and evening shuttle will be available to and from the Convention Center for guests staying at that property. A shuttle service will also be provided for the Tuesday night reception. Note, the Thursday night Networking Dinner is across the street from these properties. ELUNA has secured an amazing $139 room rate for these properties. Use this link to check room availability now. Arriving by airplane: Schaumburg is supported by two airports, O’Hare International Airport and Midway International Airport. Shuttle: Many shuttle services are available for each airport. Please see the shuttle services pages for O’Hare and Midway for booking information or to inquire about fare estimates. Taxi: There is a taxi stand outside baggage claim at O’Hare and Midway where you will find cabs waiting. Taxis are approximately $35 – 50, pending traffic. Rental: Both O’Hare and Midway offer multiple car rental options. Shared Rides: Uber and Lyft are both available in Chicago. Fares are approximately $20 – $40 for these services. Arriving by car: Parking is free for all hotels and for the Schaumburg Convention Center. If you are a local guest, parking at the Schaumburg Convention Center is free. There are options at every price point for dining in Schaumburg. Here are a few ideas! In addition, the Renaissance has a great new grab and go service (that can also be delivered to your room for a low fee), offering reasonably priced menu options.